Over the spring and summer we have had several clean up and painting days. 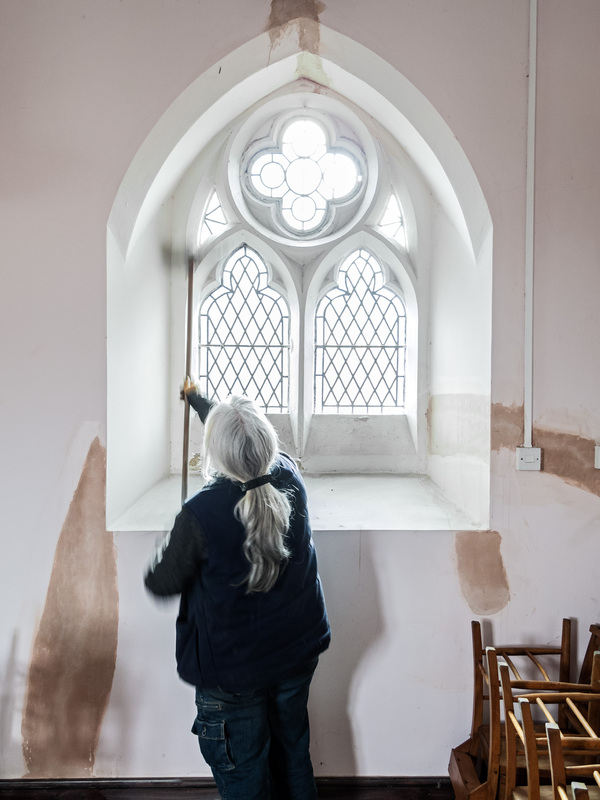 The chapel walls had been painted a pale pink, but cracks in the plaster had been mended over this, so we needed to give the interior a coat of fresh paint. Cleaning the chapel in preparation for painting took a while – the dust of years had settled on the window tracery, and there were cobwebs everywhere. With volunteer help we set about washing down walls and woodwork, and sweeping out huge accumulations of leaves from the outer porch before putting a coat of white paint on the walls. It has made a huge difference.